Euro is still moving inside a narrow consolidation channel near the level of 1.3250. We think, today the price may leave this channel and continue forming the fifth wave of this descending correction. 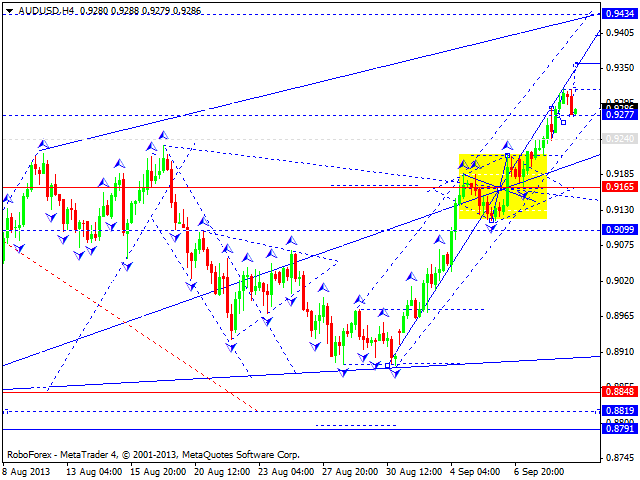 The target of this wave is at 1.3080. 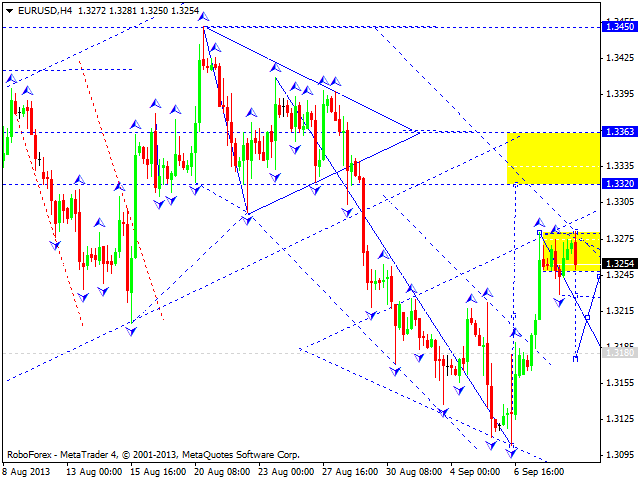 After reaching this target, the pair may start another ascending structure towards the level of 1.3600. Pound is still moving near its maximums; right now, the market is in the middle of the fifth ascending wave with the target at 1.5890 (at least). As a rule, in the middle of the wave, the market may form a consolidation pattern; right now, we can see signs of divergent triangle pattern. We think, today the price may fall down towards the level of 1.5560 and then start a new ascending movement to reach the target at 1.5850. 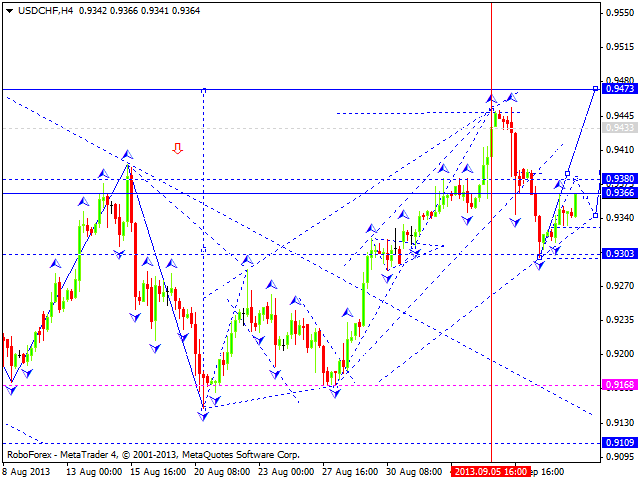 Franc continues moving upwards inside the fifth wave with the target at 0.9470. This wave is considered to be a correctional one. After reaching this target and completing the correction, the pair may start a new descending movement towards the level of 0.9100. 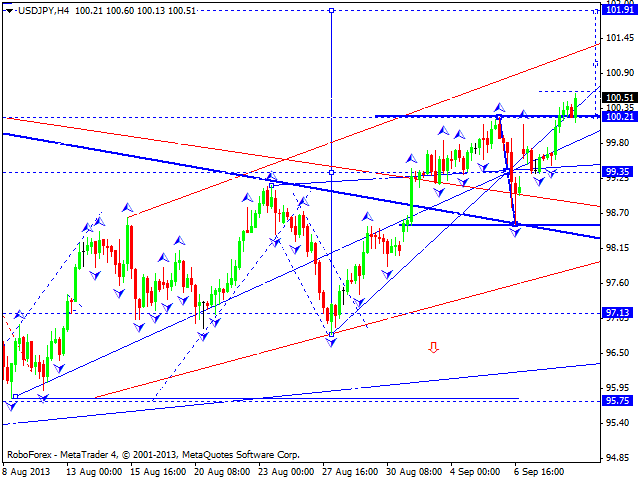 The USD/JPY currency pair is forming the third ascending structure with the target at 101.90. After reaching this target, the price may return to the level of 99.60 and then start forming another ascending structure towards the level of 102.85. Later, in our opinion, the pair may start a deeper correction. Australian Dollar continues moving upwards; the market has almost formed a continuation pattern near the level of 0.9165 and may extend this wave towards the target at 0.9435. This ascending movement may be considered as the third wave. We think, today the price may start the fourth wave to reach the level of 0.9100 and then the fifth one towards the target at 0.9485. The whole structure may be considered as the correction. Later, in our opinion, the pair may continue moving downwards. 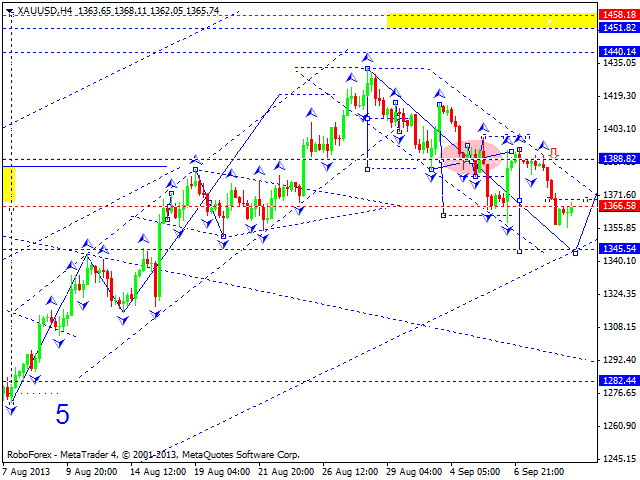 Gold is still moving downwards with the target at 1345.50; the market is forming the fifth structure of this wave. 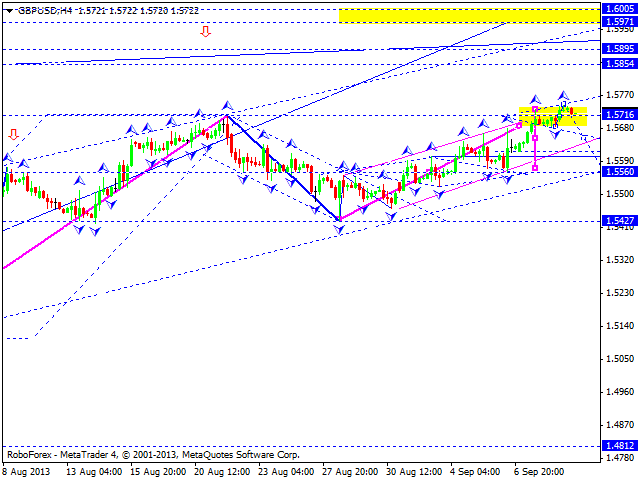 After reaching this target, the instrument may start a new ascending movement towards the level of 1455.00.